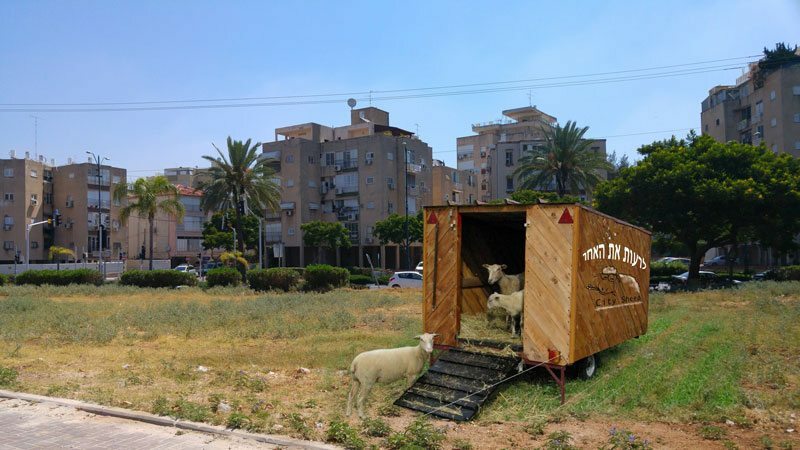 How many sheep there is in your city? How to design a happier urban space . A culture that does not allow an emotional discourse on architectural objects, creating urban environmental planning failure. A culture in which no emotional discourse legitimized as part of the design principles, subtracts those aspects of it, creating an urban space lacking. The early settlement history, animal life was an integral part of a person’s direct surroundings. He raised them, supported them and supported them and made them his family. The animals were part of their way of life, they violated the physical and social functioning, as well as the emotional and cognitive functioning. Later, the relationship between man and animals was investigated and proven inherently therapeutic “Zoaotrfih”. Today, a typical city, animals are not part of the urban landscape. Relationship lasted for at least 10,000 years faded and instrumental rational urban and totals dog park, a fenced. Restore the human environment which accompanied her since ancient times and design spaces for different types of domesticated animals in urban environments. Domesticated animals combining parts from the open spaces will allow the creation of areas that provide a natural feeling pastoral including a multitude of birds, butterflies and plants typical of the region. 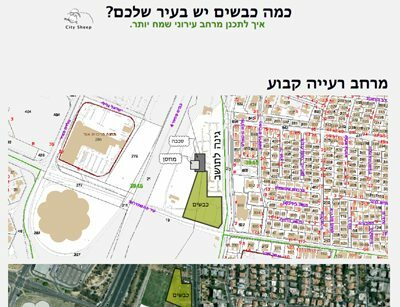 All this financial investment is lower than that required for the maintenance of public areas and other, protectors and patients inside the settlement. 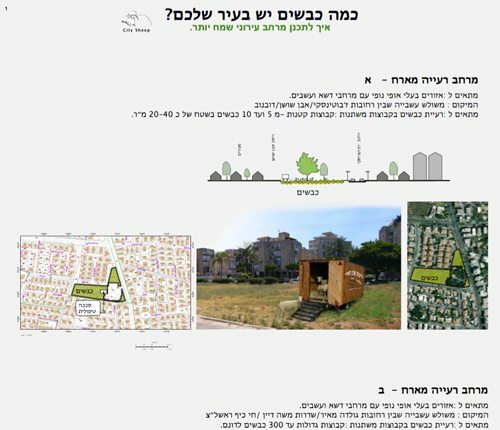 Planning of spatial continuity thoughtful green animal needs and allows their closeness to us. By planning that takes into account the physical limitations of the animals, in the urban environment, will create an environment that relates to values and also our emotional needs. 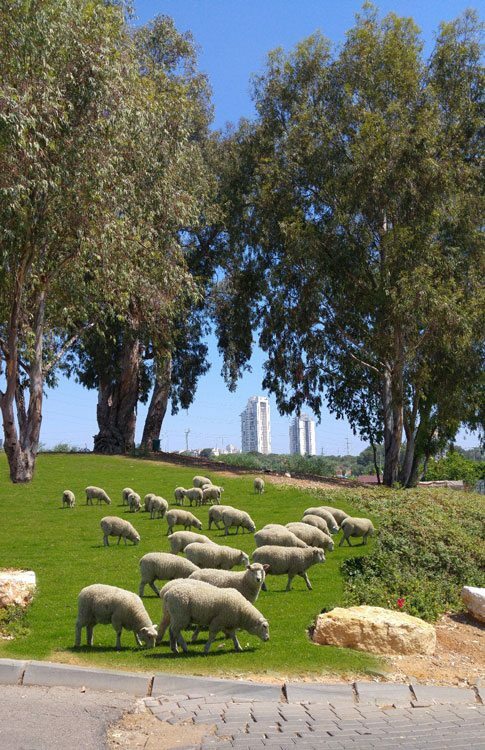 Sheep is a archetype of the peace, quiet and relaxation – that we are missing so modern urban life. 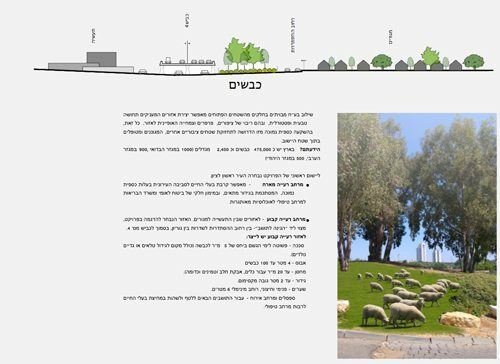 From Antoine de Saint-Exupéry “the little prince asks to draw a sheep” and to Yonatan Gefen with the “16 sheep”, between humans and sheep, there is an ancient Intimate and comforting relations. 1. 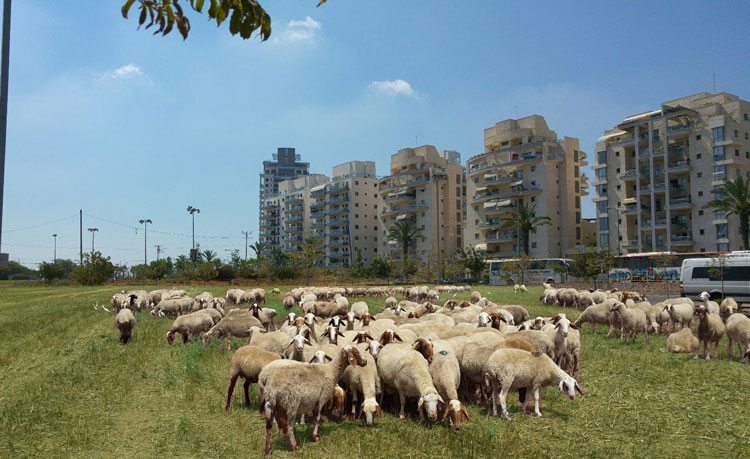 Host grazing area: grazing in urban areas and landscapes nature with grass and weeds around in small groups – from 5 to 10 sheep, an area of about 20-40 square meters, or large groups of up to 300 sheep per acre. 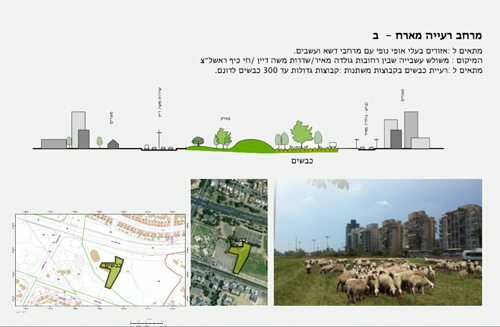 2. permanent grazing area: grazing areas between residential areas industrial zones.